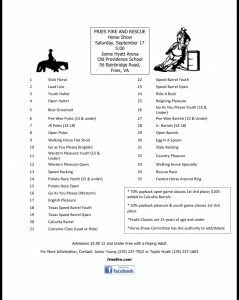 Our Fall Horse Show will be held Saturday, September 17!! Show starts at 5:00. $100 will be added to Calcutta Barrels! !